We have in Australia what we call the ‘Tall Poppy Syndrome’. It is where someone who is very successful is pulled back a notch or two as a punishment for their success. Dan Brown, like most parts of the world, was hugely successful in Australia with his bestselling novel The Da Vinci Code. It topped the bestseller lists for months, dragging along with it Brown’s previous novels; Angels and Demons, Digital Fortress, and Deception Point. In fact, when a pictorial version of The Da Vinci Code came out, Brown had a lock on five of the ten top selling books in the country, which is truly an amazing feat. After all that success, as an Australian, it is now my duty to adhere to the rules of the Tall Poppy Syndrome and cut Mr. Brown down to size. But first, as I am egocentric, let’s talk about me for just a second. Initially I was taken aback because I’d like to think that anything I’d write would be anything but formulaic. But she persisted, ‘What would be the formula for the average spy story?’ I quickly though about it, and my mind raced back to the countless spy stories that are racing around my head. I responded, ‘ I guess the story would start with an old man who may or may not be a scientist- he may be a politician. But he has something the bad guys want. If he is a scientist, he may have invented a weapon, or if he’s a politician he may have access to some information. This old guy is either kidnapped or killed. This is where the secret agent comes in. He is assigned to investigate the killing or kidnapping. I based my ‘formula’ on a few films I had watched recently; the Eurospy flicks Ypotron and From The Orient With Fury; the Man From UNCLE movie, The Karate Killers and even the start of For Your Eyes Only. Regular readers may even recognise that it is also the formula I adopted for my April Fool’s Day prank, That Man Connery, last year. After I had finished outlining my formula to my wife, I sat back and waiting for a response. She said, ‘You know you have just outlined The Da Vinci Code?’ And in all honesty, I hadn’t. The framework for The Da Vinci Code is the same as that of a myriad of cliched spy films. And maybe, therein lies the simplicity and the beauty of The Da Vinci Code. It a spy story, but without spies. That brings us back to The Lost Symbol, and before I go any further, I wish to say that I refuse to participate in the Tally Poppy Syndrome. I am not going to slag off Dan Brown’s latest book simply because his last book was so successful. I really enjoyed The Lost Symbol. Due to the controversy surrounding The Da Vinci Code, what many people have seemed to have forgotten that Brown is first and foremost a thriller writer – it’s airport fiction – and he does it better than most. Is it believable? Maybe – maybe not. But the key question is ‘did the book entertain you?’ My response is yes – enormously. No more than a good Clive Cussler, Matthew Reilly or Bill Napier novel – but no less either. 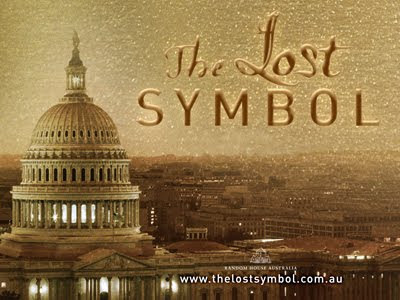 The Lost Symbol is a rattling good yarn – and further more, Brown sucked me into his story enough that I found myself ‘Googling’ some of the buildings, paintings and sculptures mentioned in the story. The story starts with Harvard Professor and symbologist Robert Langdon receiving a request from an old friend and mentor, Peter Solomon. Solomon is one of the direction of the Smithsonian Institution, which each year hosts a private gala for its supporters and backers. The dinner is preceded by a keynote address and the person scheduled to make the address has fallen ill. Langdon is asked if he will kindly fill in for the evening. 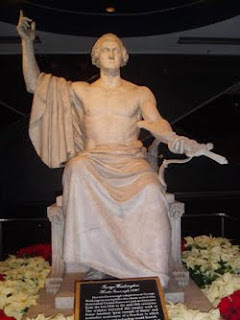 Langdon agrees, and is quickly en route from his home in Boston to Washington D.C. – and to the Statuary Hall in the Capitol Building. This is just the beginning of rather rather long and frantuic evening for langdon as he gets dragged into the secret world of Freemasonry and hunted by the director of the CIA’s Office of Security. 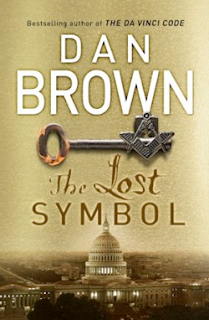 I am not going to waste too much time outlining the plot of The Lost Symbol, because one of the joys of reading a Dan Brown book is being lead through the various threads of plot convolution. And that’s one thing this book has joyous amounts of – plot convolution! There is some good story-telling in The Lost Symbol, especially early in the book where the story really rockets along. There is one passage in particular that had me shocked. I didn’t see it coming at all – but Brown handles it well, and provides a perfectly acceptable resolution. Towards the end – essentially after the climax – the story does dawdle a little as it comes to a close, with over forty pages of tying up loose ends. Okay, those pages do contain the ‘big reveal’, but The Lost Symbol is one of those books where the treasure isn’t really a treasure (you know what I mean), and as such there is no real positive, fist pumping, positive release for the reader. It’s not a gib – but it isn’t totally satisfying either. So does The Lost Symbol fit my spy formula? Yes it does. The old man with the knowledge is Peter Solomon and he is kidnapped prior to the start of the story – the kidnapping is recounted in flashback. Robert langdon is the ‘spy’ called to solve the mystery, although in this instance it is the kidnapper who presses Langdon into service rather than a government agency (Although be assured the CIA is riding along with Langdon). And does Peter Solomon have a beautiful daughter, sister or research assistant to assist Langdon in his quest for answers? Yes he does. He has a sister named Katherine, who not only aids Langdom throughout the story, but is a scientist in her own rite, and her research adds an extra dimension to the story as it plays out. So the ‘Spy Formula’ is all there, and as I mentioned earlier, The Lost Symbol is very enjoyable. It is a pity really because, now when I finally do get around to writing my great spy novel I am going to have to find a new formula. Dan Brown has used mine, and used it well. Washington DC: Harvard symbologist Robert Langdon is summoned at the last minute to deliver an evening lecture in the Capitol Building. 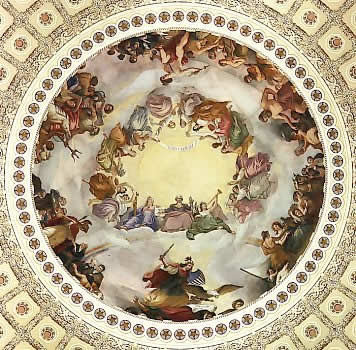 Within moments of his arrival, however, a disturbing object – gruesomely encoded with five symbols – is discovered at the epicentre of the rotunda. It is, he recognises, an ancient invitation, meant to beckon its recipient towards a long-lost world of hidden esoteric wisdom. When Langdon’s revered mentor, Peter Solomon – philanthropist and prominent Mason – is brutally kidnapped, Langdon realises that his only hope of saving his friends life is to accept this mysterious summons and follow wherever it leads him. Langdon finds himself quickly swept behind the facade of America’s most powerful city into the unseen chambers, temples and tunnels which exist there. All that was familiar is transformed into a shadowy clandestine world of an artfully concealed past in which Masonic secrets and never-before-seen revelations seem to be leading him to a single impossible and inconceivable truth. David, not too sure about your formula as this could make nearly every detective story a spy novel. Something happens to someone. Protagonist brought in to investigate and gets a bit of nookie on the job.Both genres feature very similar characteristics, especially problem solving/investigating and maybe the Da vinci code is just plainly a crime novel, but instead of a cop it's a Private Investigator as the main character. Based on your formula, I think Rebus (not the John hannah version), is a great spy. Tall poppy syndrome is great as it allows us who are talent-less and jealous to stick in an undeserved boot, and on that basis could I say that I've never liked Geoffrey Rush, who I always think is James Woods' dad, is the most overrated Australian actor in the world.